Home > WHAT A WONDERFUL FAMILY! 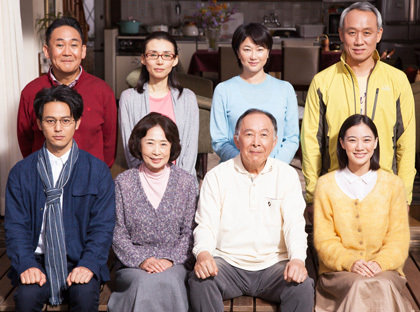 “Tokyo Family” cast gets together for Yoji YAMADA’s long-awaited comedy drama! On the birthday of Tomiko (Kazuko YOSHIYUKI), her husband, Shuzo (Isao HASHIZUME), asks her what she wants as a memorial gift. She answers, “A divorce.” Their children are much thrown into a state of panic to hear this news of separation. Amid the sudden tumult of life, each member of the family begins to publicize respective grievances.